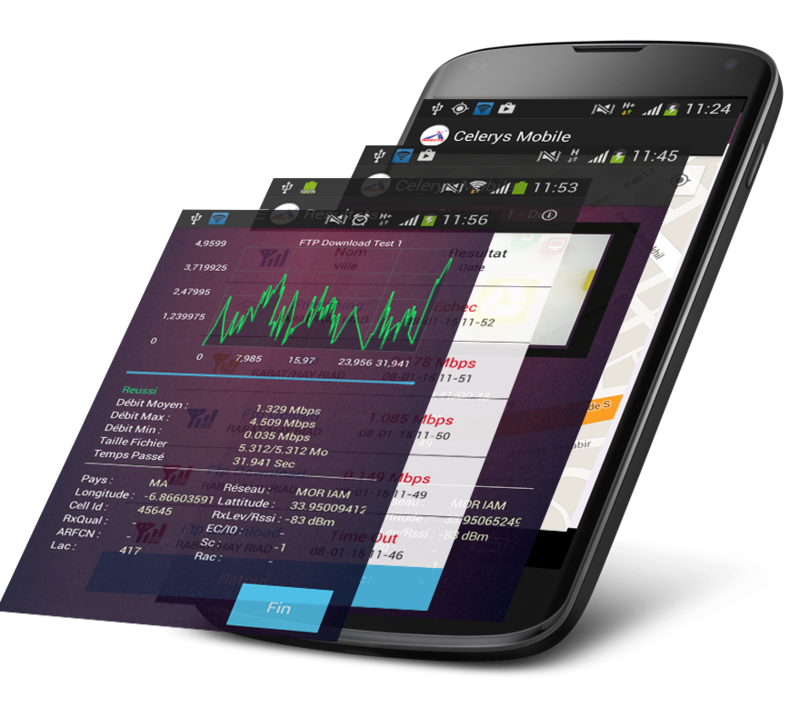 CELERYS MOBILE provides a various measurement tools using smartphones or tablets with live visualization and analysis. The tool is highly suitable for QoE measurement for both outdoors and very dense indoor areas. CELERYS MOBILE is the best solution for QoE VOICE & DATA evaluation. It supports 2G, 3G, 4G and WIFI networks and it can be used for multi-operators benchmark. CELERYS MOBILE is supported on latest android-based regular terminals. All parameters of the services (servers, timeout, login and passwords...) can be configured individually. The user can choose the network to e evaluated. It can be dual mode or individually 2G, 3G, 4G or WIFI networks. CELERYS Q-NET allows IP network DATA QoE Evaluation. It’s a desktop solution which can be used to DSL /FTTH testing, Wifi/WIMAX and Mobile networks QoE Evaluation using Dongles connected to Laptops/Desktops. It allows similar testing features as the ones allowed by CELERYS MOBILE in smartphones/Tablets.